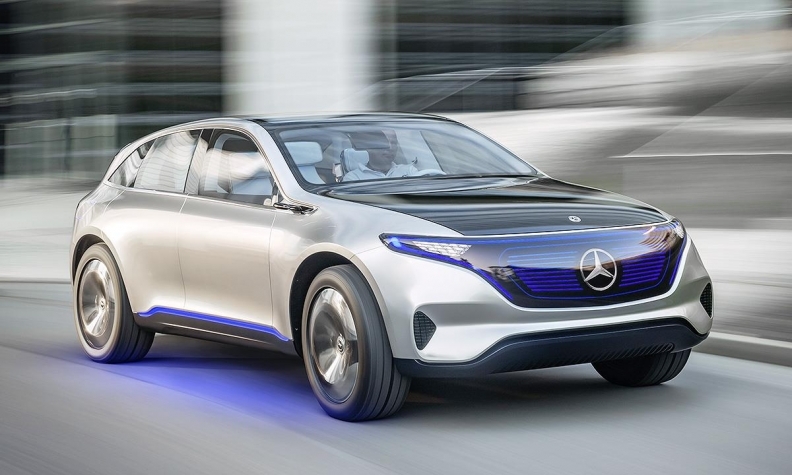 The Generation EQ crossover is the first of 10 new EVs that Mercedes plans to launch under the new subbrand by 2025. BEIJING -- Chinese automaker Chery Automobile Co. has filed a complaint with the country's trademark regulator over Mercedes-Benz's use of the "EQ" name for a subbrand of electric vehicles, throwing up a potential road block for the Daimler unit in the world's largest EV market. She said Chery has used the name "eQ" for its two-door EV for two years. Mercedes unveiled the near-production Generation EQ concept, a battery-powered small crossover with a 500km range, at last year's Paris auto show. The automaker will launch 10 new electric vehicles by 2025 under the EQ subbrand in a bid to become the global leader in EV technology, Daimler CEO Dieter Zetsche said at the time. A ruling in Chery's favor would be a blow to Mercedes in a key market for new-energy vehicles as more electric cars are sold in China than the rest of the world combined, thanks in part to government initiatives targeting air pollution. "If it entered the Chinese market, it would impact our trademark rights," the Chery spokeswoman said. "Mercedes Benz EQ and our (eQ) are extremely similar. Their product is also an electric car." China's central government aggressively promotes green cars to fight intense urban pollution and is urging its domestic industry to leap forward in automotive technology.